The unincorporated Skyway area, just south of the Seattle city limits and an on-again/off-again subject of annexation by surrounding communities (Seattle, Tukwila, Renton), is not quite like anyplace else in the greater Seattle area. It is probably the most ethnically and racially diverse large area -- one of the few where whites a (slight) minority. 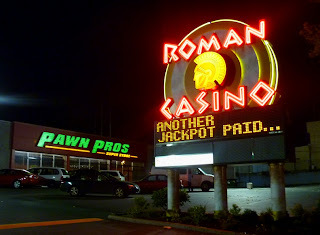 The Roman Casino is one of those places that accentuates both the diversity and the ethnic cohesion of the area. 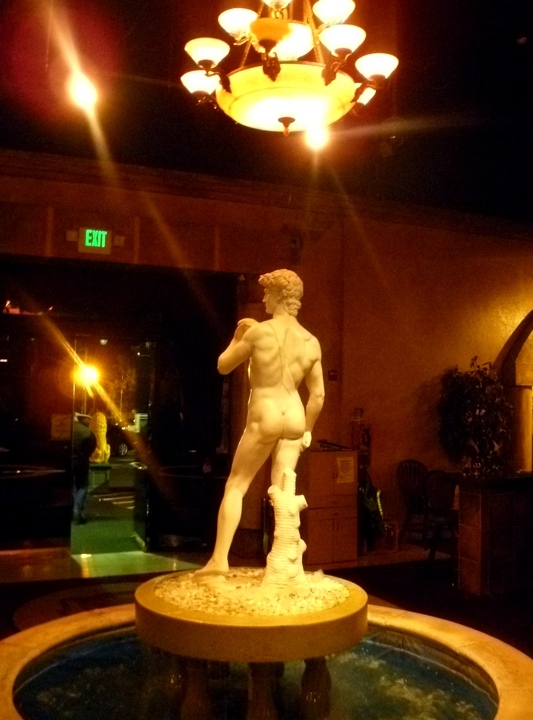 The workers seem split evenly between white, black and Asian, while the customers appear about 95% Vietnamese, and the whole is surrounded by the ersatz simulacra of famous Roman art, including a mini Michelangelo's "David" in a fountain. The cheesy decor does not lead to cheap food and drinks. The mostly Vietnamese and Chinese menu ranges from $50 for lobster-based dishes, to $40 for crab-based plates, appetizers $9-$17, standard American Chinese dishes (beef with broccoli) $12-$18. The drinks are pretty much what you would expect. The casino is housed in a sort of shopping center structure, with a Pawn Pros store conveniently located around the corner. This casino/bar, is a product of its environment. Located in Skyway next to a pawn shop and bowing alley. The food is rediculously overpriced and the server staff is not only forgetful of our food orders time after time but also push the alcohol on already over served customers. 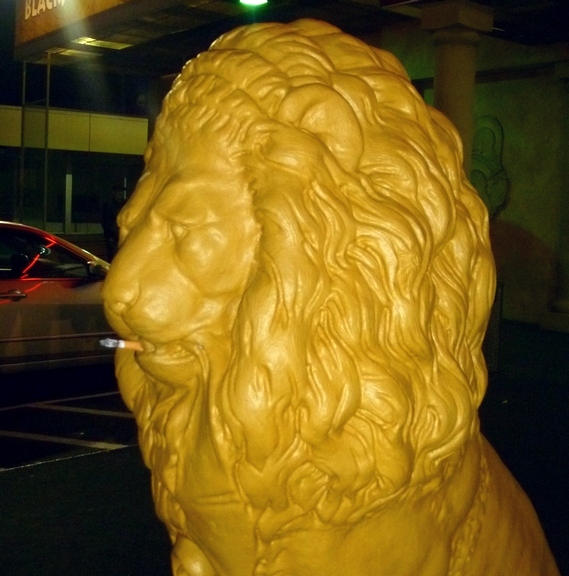 The innapropriate behavior of the staff to eachother and clientele there to gamble and enjoy a night out, is troublesome. The bar/wait staff at this business, solicit tips from the bar/ casino customers which for the most part shows little to no class. We will not be returning to this place of business.